Holy Theotokos of Iveron Russian Orthodox Church - What is the Orthodox Christian Church? Millions of Orthodox Christians in procession during a feast of the Virgin Mary in Russia. The Orthodox Church is the original Church, founded by Jesus Christ, continuing down the centuries to our times without addition or subtraction, as our Lord promised. This claim may amaze some people. They will say, How can this be possible? So many centuries have passed! And, look, there are so many churches, with good and sincere members, each one different from the other in its beliefs and worship, each one thinking it is right... Perhaps we may feel tempted to think that it really doesn't matter. But for Christians the promises of Jesus Christ are all-important. A Christian is someone who believes that Jesus is the Savior of the world, and that His word cannot fail. Jesus warned us that false christs will come to lead many astray (Mt. 24:24). Saint Paul tells us that men will want new and false doctrines (2 Tim. 4: 3-4), and he puts us on our guard not believe a new "gospel," even if it were delivered by an angel (Gal. 1: 9). So if we are concerned about our salvation, it is vital that we hear the authentic Gospel and believe in the true Christ! This is why Jesus promised that His Church would be built on a rock, and that even the whole power of evil could not overcome it (Mt. 16:18). He also promised that He would not abandon us (Jn. 14:18), but that He would abide among us and send us the Holy Spirit, who would lead us into all truth (Jn. 16:13). He commissioned His disciples to teach all nations, baptizing them in the Name of the Father and of the Son and of the Holy Spirit (Mt. 28:18-20). This teaching is the message of salvation. It is from God and not from man. It is unchanging. It is not a matter of human works and opinions. Do we really believe this? If not--if, for example, we say that the Church went astray almost from the beginning, or from the time of Constantine, when Christianity was embraced by the Roman Empire in the fourth century, or perhaps later--are we not saying that our Savior's promise has failed? If we say, as some do, that the Church was under darkness for century upon century, are we not admitting that human sin and the gates of hell did, in fact, prevail? How can that be? And, further, even if one were to think that possible, how would we know that our present situation is any better than that of the Christians who lived in those times? It is clear, then, that this authentic Church where the true Gospel is preached, must still be alive and present among us now--just as it must have been present without interruption for two thousand years, since the time of Christ and His apostles, making salvation possible in every generation. The question is: How do we find this treasure? Well, we know that the Church has spread throughout the world since the day of Pentecost by the power of the Holy Spirit. It is clear, then, that this Church did not start up recently, or even a few centuries ago. It cannot be the product of somebody's theology. It will teach unchanged today the same faith as that held by the apostles and their immediate successors. It will be a house of healing for all nations, a place where human beings are given access to the Kingdom of Heaven and where they are equipped to undertake spiritual warfare against the demons (Rev. 3:21). The Orthodox Church claims to be this original Church of the New Testament present today. What was the New Testament Church like? We read of the Church in Corinth, the Church in Thessalonica, the Church in Ephesus, in Philippi, and in the great city of Rome. When Saint Paul wrote to these New Testament Churches, he assumed that they were one, that they all belonged to the one Body in Christ (1 Cor. 12:12ff.). In the same way, they acknowledged him and received his letters, and they preserved them with reverence. As a matter of course, Paul could admonish them when needed and encourage them, speaking to them about Christ and their common faith and the hope of resurrection. He clearly stated that they were united in one Lord, one faith, one baptism (Eph. 4:4-6). Likewise, in the Book of Revelation we read of the Churches in Ephesus, Smyrna, Pergamum, Thyatira, Sardis, Philadelphia and Laodicea. These cities were important places in the ancient world, each with its own culture and economy, and the Churches there all had their own characteristics and problems. As on the day of Pentecost, people of many languages were gathered by the same Holy Spirit, each according to their own tongue and culture. This is exactly how the Orthodox Church exists today. For example, there is the Church of Russia and the Church of Greece--the same with many other countries, including our own . The Orthodox Church exists in different places, the Church in each region led by its own shepherds, the bishops. Each one is distinct, but the teaching and the life of these Churches are the same. The Church, then, is visible in this world. "Church" in the New Testament is not just a generic term covering a multitude of different groups, each one believing something different from the others. On the other hand, the Church is not one by virtue of some big organization, held together by a central authority which compels allegiance and imposes uniformity. What is the secret of its unity? Orthodox can only answer that it is the invisible action of the Holy Spirit. At times, in fact, the Church seems woefully lacking in visible organization! For this reason, the Orthodox Church can sometimes appear feeble and broken from the outside. The miracle of Orthodox unity--and the fact that the Church has remained Orthodox in different times and places--continues in spite of the sins and shortcomings of its members and the inroads of the world. It is the same today as in the time of Saint Paul. It is of God, and not something man-made. From the Orthodox perspective, the Roman Church gradually brought in a number of additions to Christianity. These finally led to its departure a thousand years ago from communion with the rest of the Church. At the Reformation, five centuries later, many new and previously unheard of churches started to spring up in defiance of Rome. They are thus the offspring of Rome. From the Orthodox perspective, these Protestant churches, and their modern successors in America today, subtracted vital elements from the original Gospel and faith in Christ when they reacted against Roman Catholic innovations. But they and the Roman Catholic Church are really like two sides of the same coin, disagreeing sometimes violently and then finding that they really have a great deal in common. Meanwhile, the Orthodox Church continues as it always did. This is the way the Orthodox Church understands itself. Yet there is no suggestion here that Christians who are not Orthodox cannot be saved. There is no judging of others. God, according to Orthodoxy, is good and loves mankind. He rejects no one. He invites us to His Banquet. 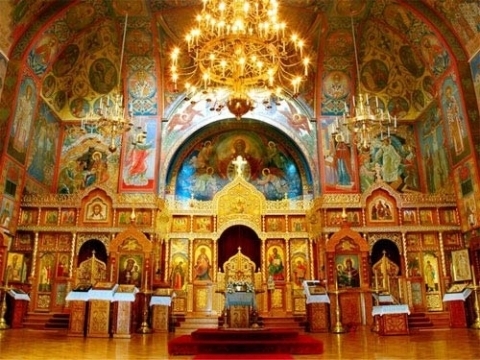 The true Orthodox Christian occupies a place of humility before everyone, conscious of his unworthiness and seeing in each person the image of God. The Church is the haven, the ark of salvation, given us by our Savior, the inn where we are to regain our health until He comes again (Lk. 10:33-35). It is not a matter of personal pride! During the Orthodox services believers can indeed experience the Kingdom of Heaven already present in this fallen world (Mt .9:1). But simply being a member of the Church is not the same as actually availing ourselves of what Christ gives us and growing into His fullness. The Church is not reserved for those who are good or perfect already. It is for human beings who are daily working out their salvation in fear and trembling, and in so doing come to understand that they are the greatest of sinners. 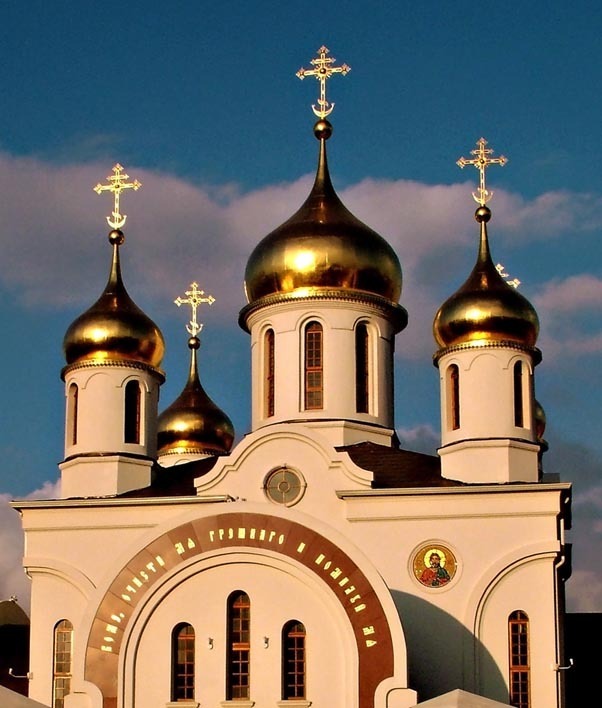 To learn more about the rich history of the Orthodox Christian Faith. We highly recommend the famous book, "The Law of God" by Fr. Seraphim Slobodskoy. Please help us to build a Church in Hawaii to the glory of Our Lord Jesus Christ!